I’ve had the privilege of exploring many of the world’s greatest museums and art galleries. But I confess. 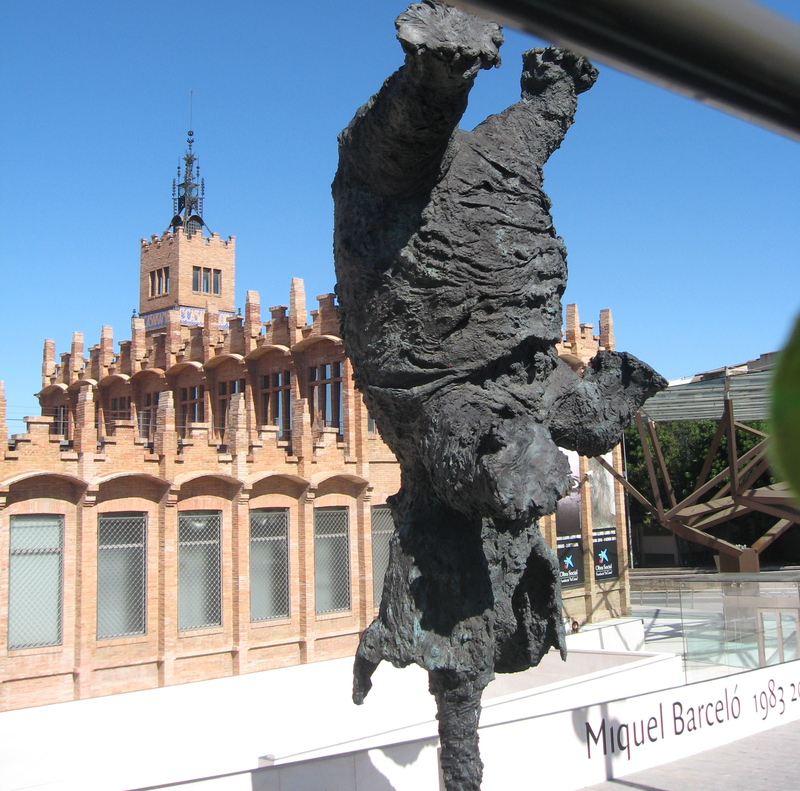 My time in Barcelona was not spent in any art galleries or museums (other than the Chocolate Museum) and yet I enjoyed a tremendous amount of amazing art. How, you ask? 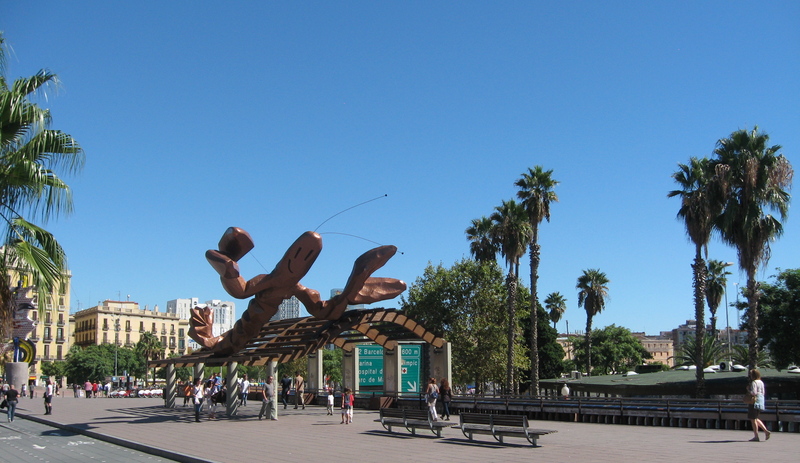 Just walking or driving around the streets of Barcelona exposes you to an awesome array of street art. 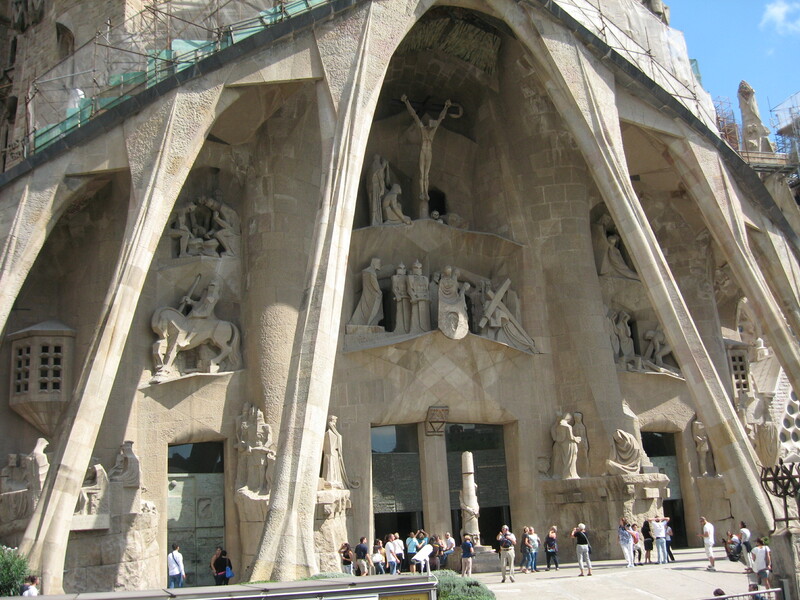 Incredible sculptures, as well as architecture that, in itself, is a work of art. At every turn we happened upon a colourful, entertaining, outrageous or thought-provoking sculpture. Here’s a look at just a few! There’s even art at the beach! 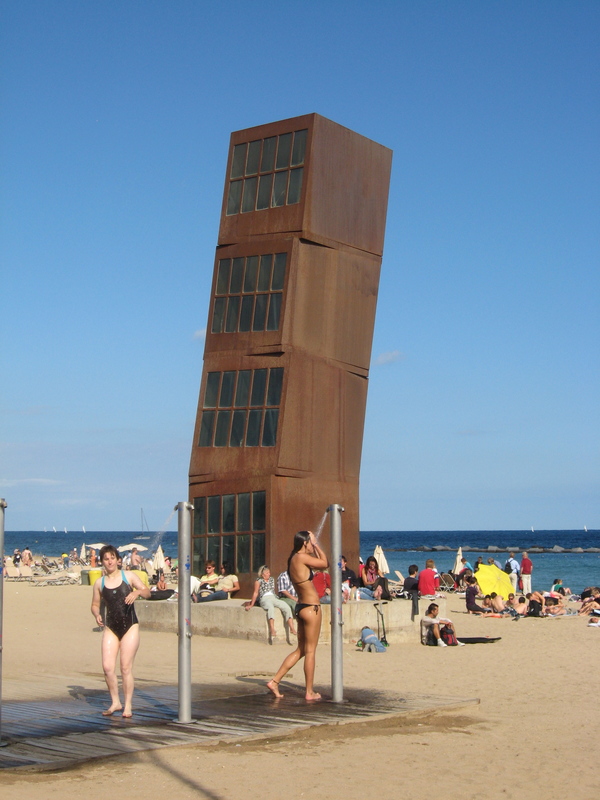 This sculpture called L’Estel Ferit in catalan (meaning “The Wounded Star,” ) is by Rebecca Horn and is an homage to Barcelneta Beach. And then there’s the architecture! Contemporary buildings are colourful and interesting for the most part. Historic buildings are adorned with beautiful traditional statues and sculptures. Some cities are famous for abundance of eye candy as you walk down the streets. Barcelona is definitely one of them. And the nice thing is that people are out there enjoying them. 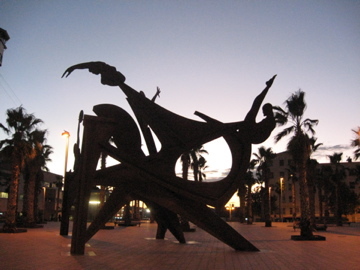 Walking down the two-level boardwalk along the beach is terrific for people watching, inhaling the fresh sea air, and being in awe of the fabulous sculptures and architecture you pass along the way. 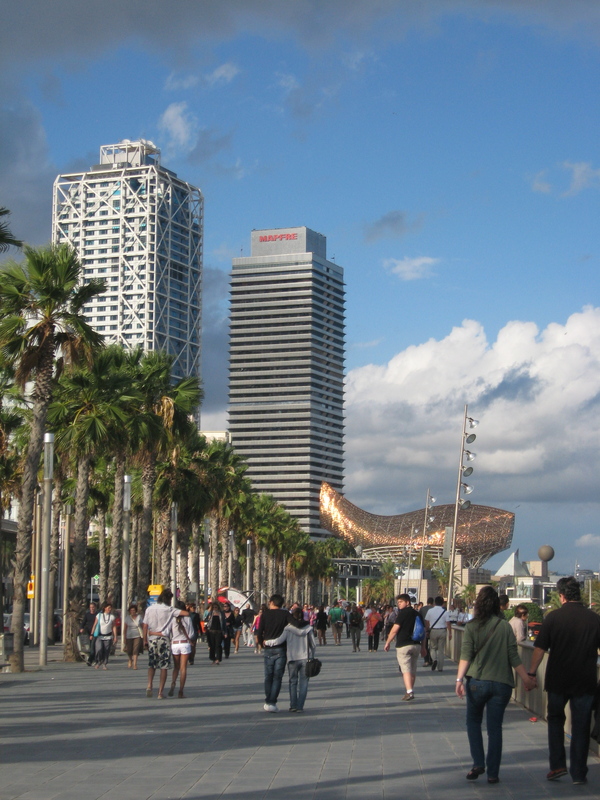 how can you not enjoy a city like Barcelona? 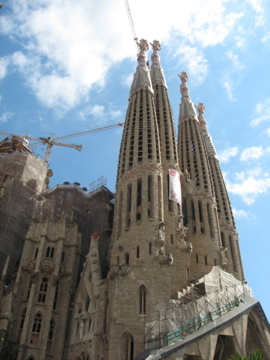 Surprisingly, I didn’t find Gaudi’s work to be gaudy. It is unusual, striking, inventive, and yes … “over the top” in many ways, but certainly not distasteful. What really impressed me about Gaudi’s work is that he is the instrument behind the infamous Sagrada Familia, a magnificent church that has been under construction for well over 100 years (the first stone was laid in 1882 and it is expected to be completed by 2030) yet, some of his work is quite modernistic in appearance (the apartment complex, La Pedrera for example.) 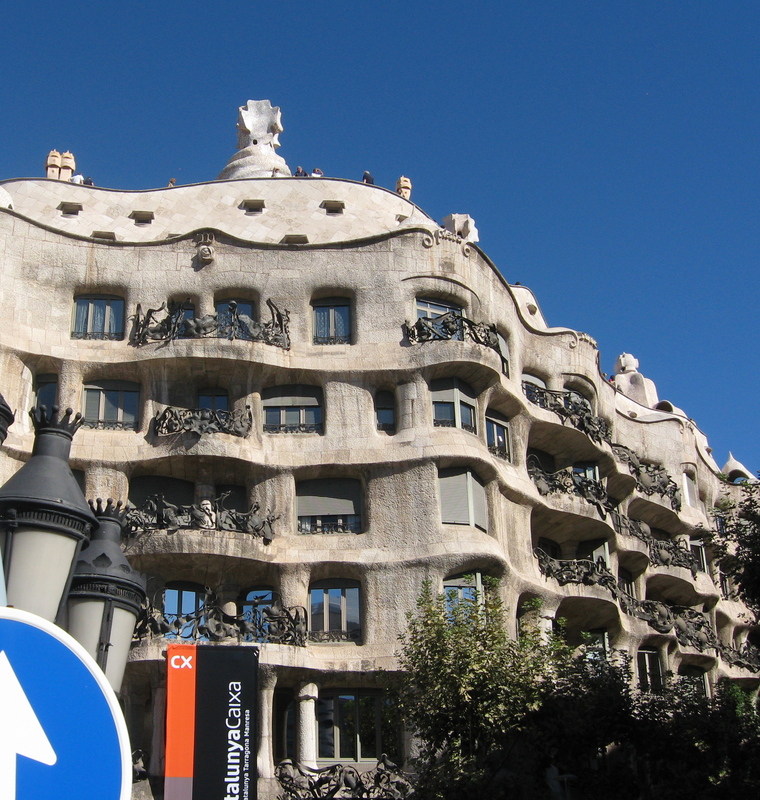 Here’s a look at Gaudi old and new. What do you think?